Capitalizing in part on many years of experience with the Spring Travel Tournament (the ASIST) as well as the quantity of artificial turf fields in Arlington, we will again host our 7th Annual Fall Rec Tournament during the weekend of November 17-18, 20178 This is a great way for teams to finish off their Rec seasons. And unless we get a lot of snow (highly unlikely! ), the games are guaranteed to proceed as scheduled. Exclusive use of synthetic turf fields allow the competition to take place in the event of rain or wet ground conditions. The Arlington Recreational Tournament (ART) will feature up to 100 teams in the U9 through U14 (3rd grade-8th grade) age groups. Most of the teams will be from Arlington Soccer, with the others coming from DC Stoddert, Alexandria Soccer Association and possibly other local clubs. Each team will get 3 games guaranteed. With space for only 8 teams per gender and per age group, we expect this tournament to fill up. Interested coaches should work with their teams soon to determine interest in participation. 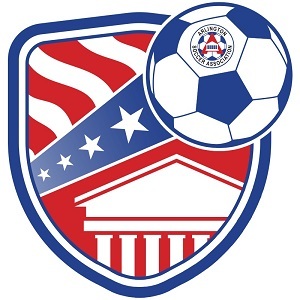 Any net profits from ART tournament fees will go towards Arlington Soccer’s Rec Soccer financial aid program, thus helping kids in need enjoy more soccer! Please contact Tournament Director, Jerry Ellison with any questions.